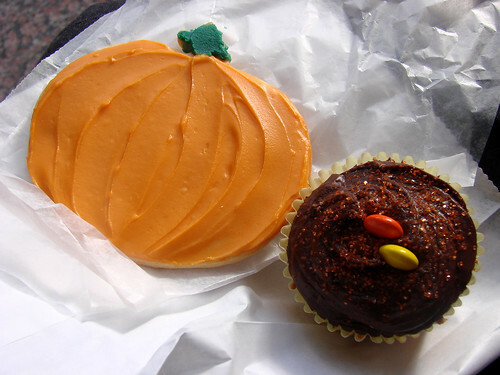 Blondie and Brownie: It's Halloween Treats Time at the Treats Truck! 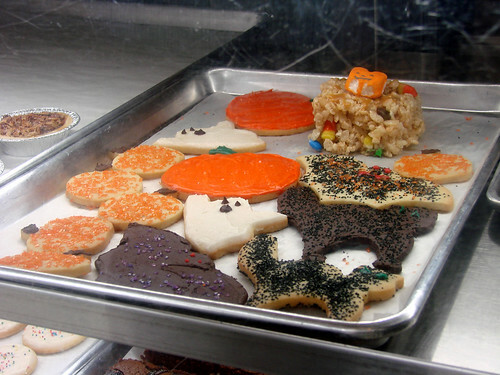 This week the Treats Truck is packing bats, cats and ghost sugar cookies, cupcakes with orange and black sprinkles, and candy corn crispy treats. If you're planning on picking up a big order for your office, call in advance to ensure you get the selection you want. 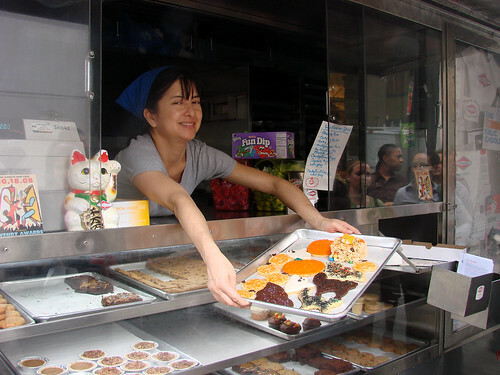 For our Halloween '08 Treats Truck coverage check out our posts on Halloween Specials Part I and Part II. I love that you guys love the Treats Truck as much as I love the Treats Truck.